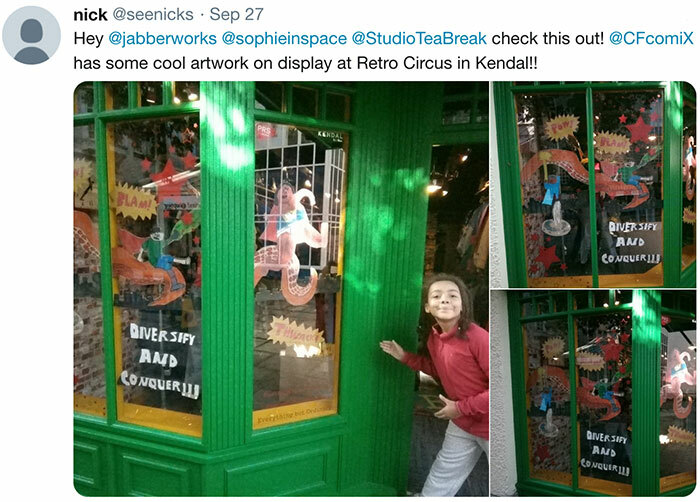 They even decorated a local shopfront! 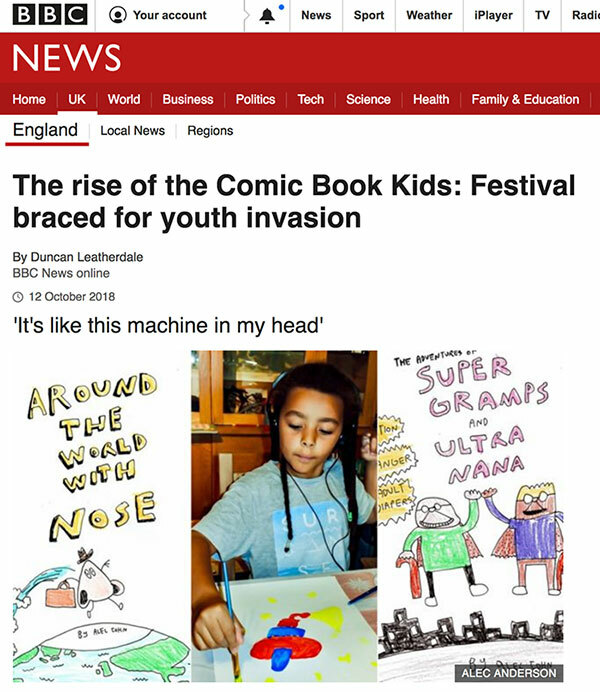 And the BBC did a big feature piece on four kids who brought their comics to the festival! 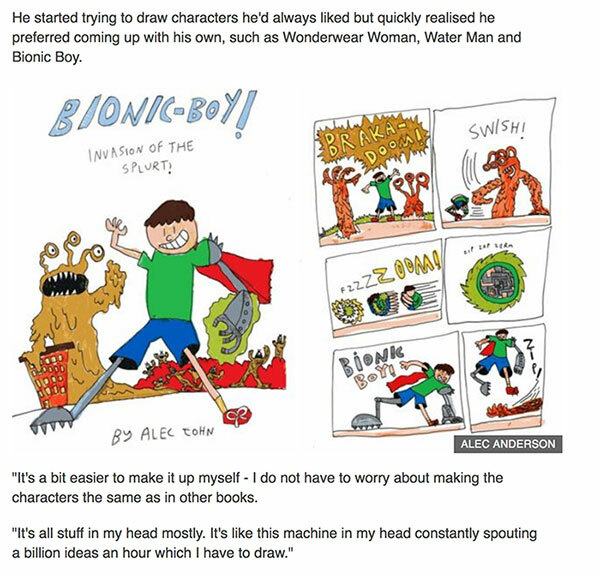 It includes another comics creator I've known for awhile, Zoom Rockman, but I've pulled out the bit about Alec. 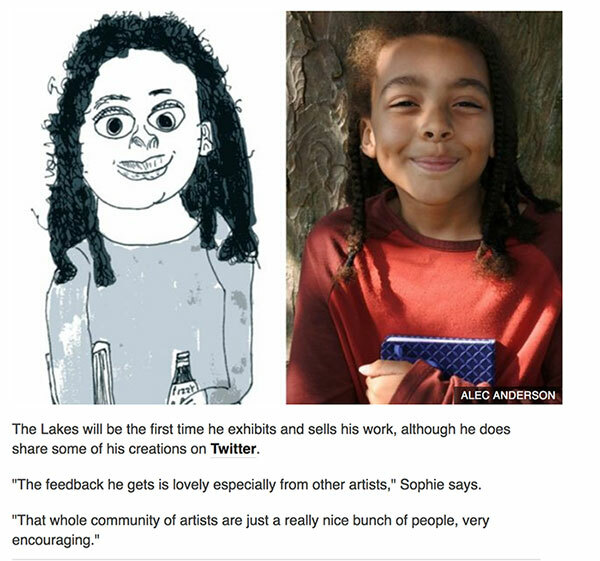 You can read the whole article here. These reviewers include footage, from the 7-minute mark, from the NYCC panel dicussion with producer Peter Jackson, director Christian Rivers, writer Philippa Boyen, and actors Rob Sheehan (Tom Natsworthy), Hera Hilmar (Hester Shaw), Jihae (Anna Fang), Leila George (Katherine Valentine), Stephen Lang (Shrike), presented by Andy Serkis. 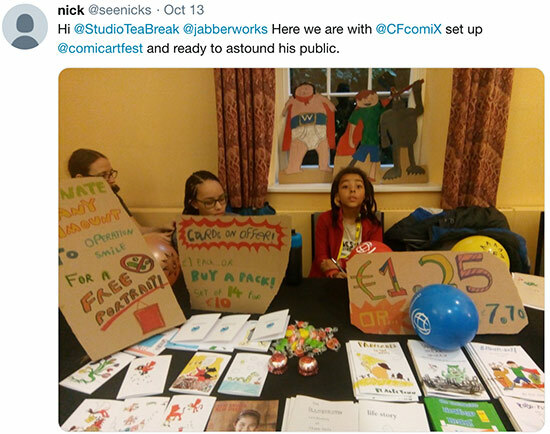 It was great to see them refer to Philip's books and spend so much time talking about the world he'd created. 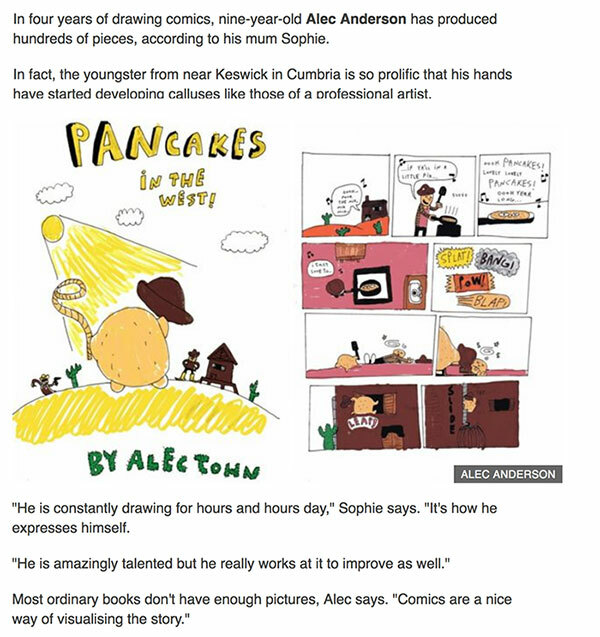 And it was strange to think all this was going on in New York - including a preview of the first 25 minutes of the film - while Philip and I talked with school children in Sardinia. Anyway, I'm excited to see how the Mortal Engines film team will interpret Philip's book - the film comes out in cinemas this December. 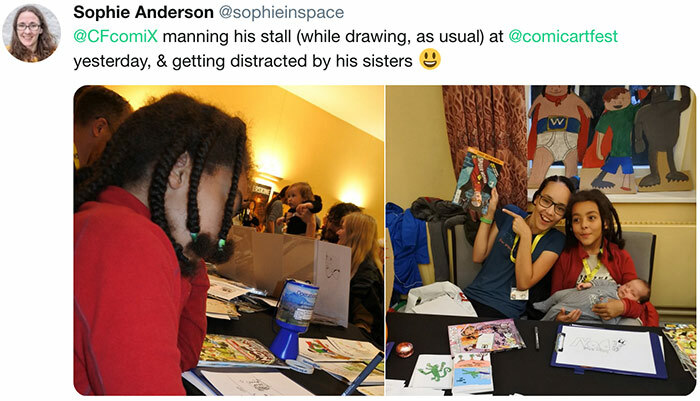 Here's an article about the panel discussion on Comic Book Resources if you'd rather read that. 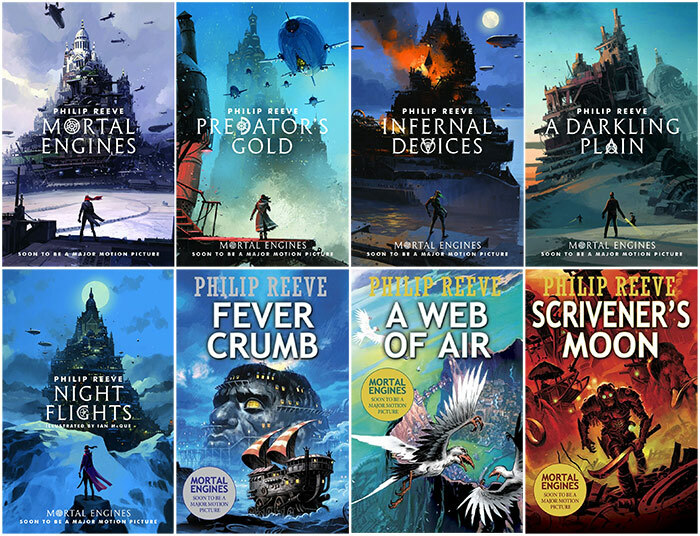 If you want to catch up with the books before the film comes out, here are the four original Mortal Engines books (covers by Ian McQue), Night Flights (the new collection of three Anna Fang stories, covers and interior illustrations by Ian McQue), and the three Fever Crumb prequels (covers by David Wyatt).